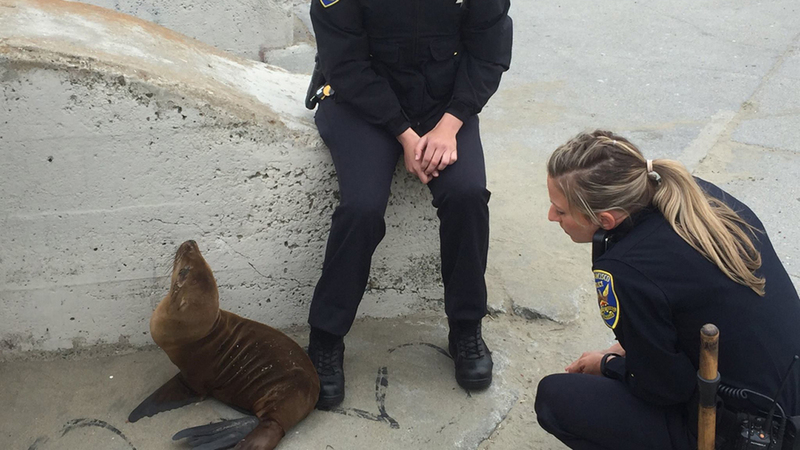 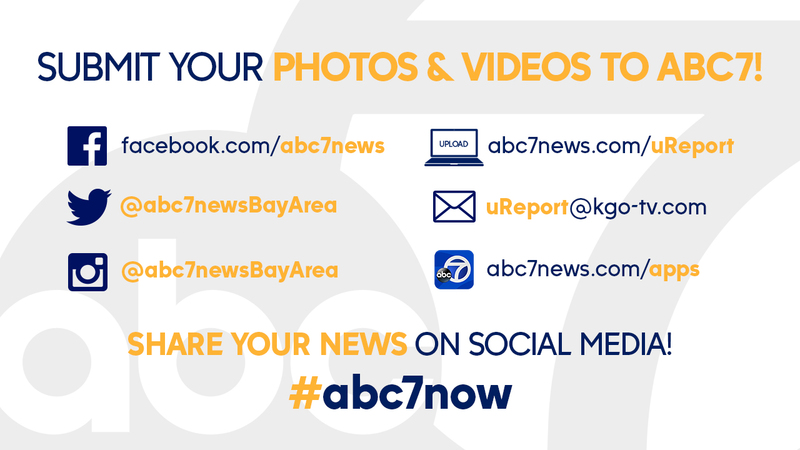 SAN FRANCISCO -- The San Francisco Police Department says two of its officers helped rescue a stranded baby sea lion they found shivering at a stairwell in the city's Ocean Beach neighborhood. 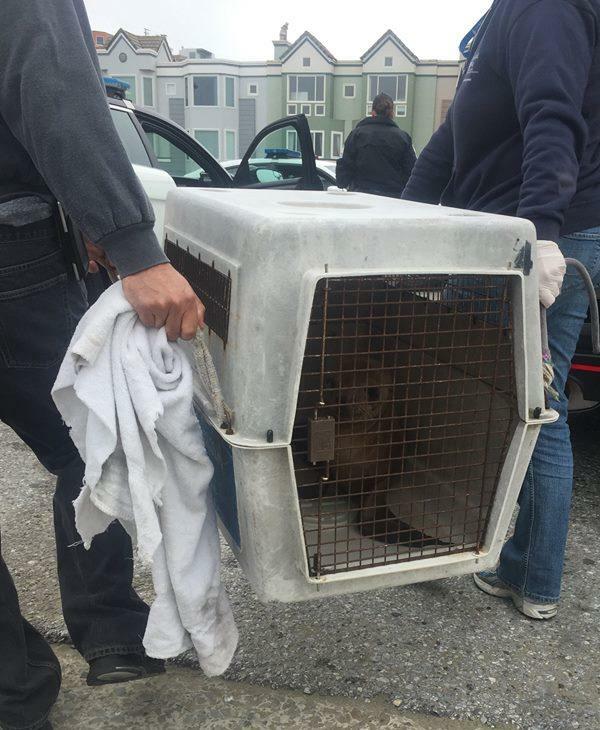 The department said Tuesday the pup tried to cuddle next to the officers to keep warm after they found him Monday morning. 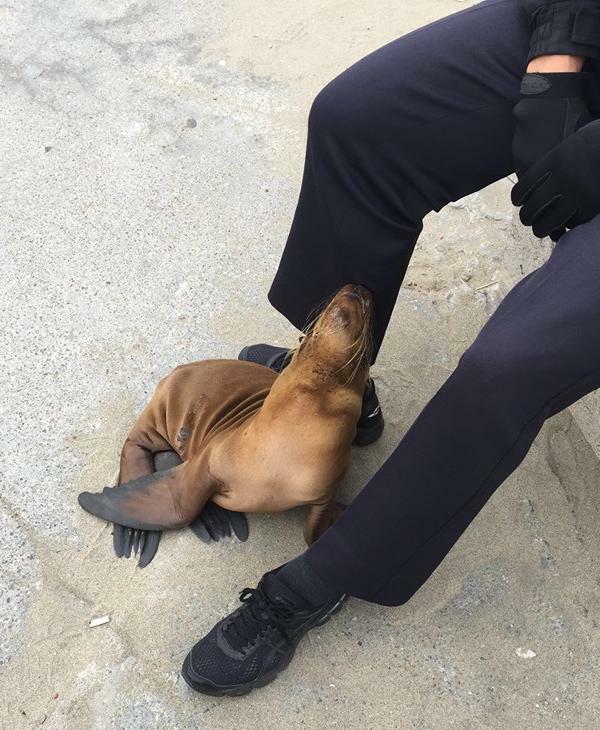 It says the officers stayed with the tired and frightened pinniped for several hours until a crew from the Marine Mammal Center arrived to pick up the seal the officers named "George Bison." 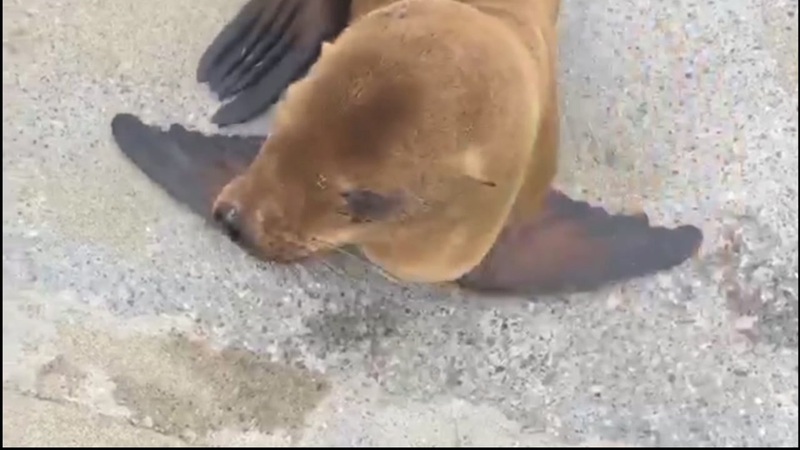 The center's spokeswoman, Lucy-Claire Saunders, tells the San Francisco Chronicle the baby sea lion is malnourished and is being fed a special formula of electrolytes through a tube to help boost its nutrition and hydration. 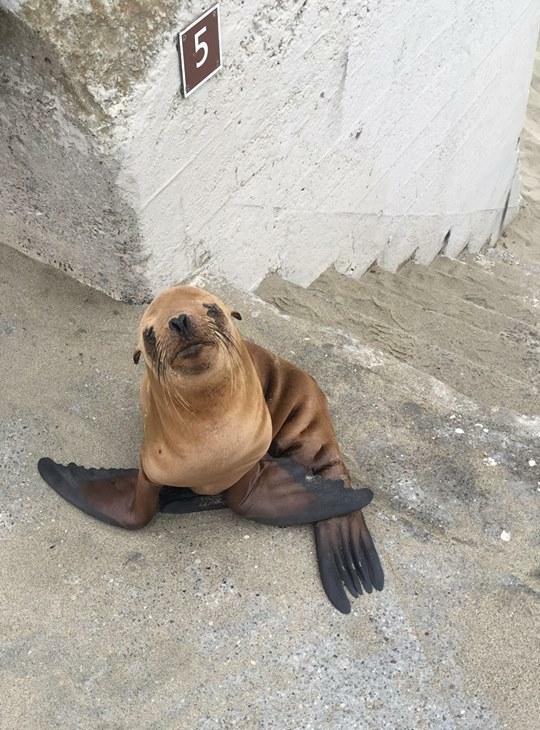 She says 300 sea lions, mostly pups and yearlings, have been rescued so far in 2016.